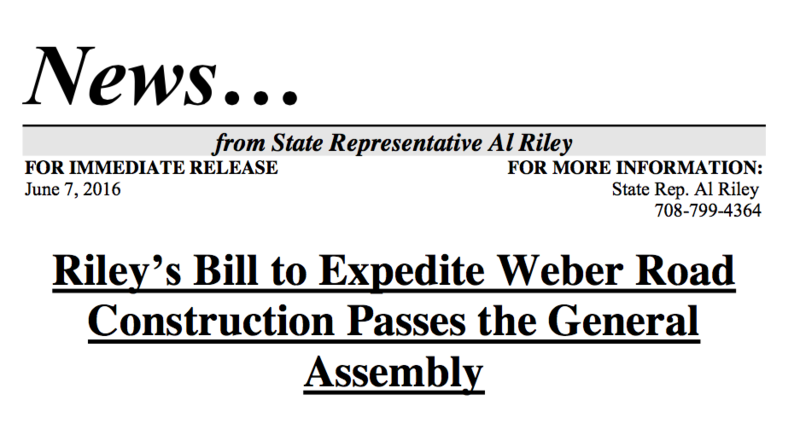 Riley received bipartisan support in the House and in the Senate for House Bill 1191, which would help Will County acquire land needed to complete a diverging diamond interchange at Weber Road near Interstate 55. Will County has been involved in an extensive legal process to acquire land needed to complete this traffic-reduction project, but estimates that without Riley’s legislation the project could be delayed upwards of three years. Passing both chambers, this measure will be sent to the Governor’s desk for finalized approval and signage into law.